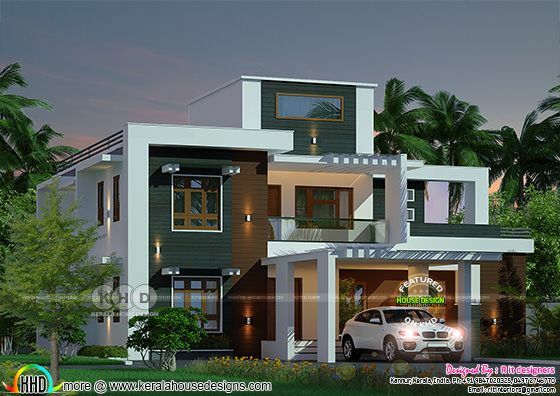 2587 square feet (240 square meter) (287 square yard) contemporary modern flat roof house plan. Estimated cost of this house is ₹54 Lakhs (March 15, 2018). 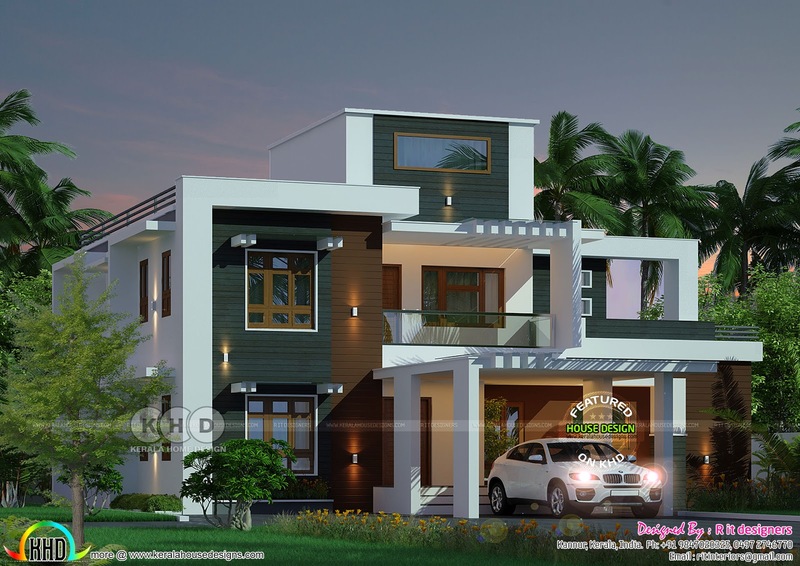 Design provided by Rit designers, Kannur, Kerala. Ground floor area : 1495 Sq.Ft. Total Area : 2587 Sq.Ft. 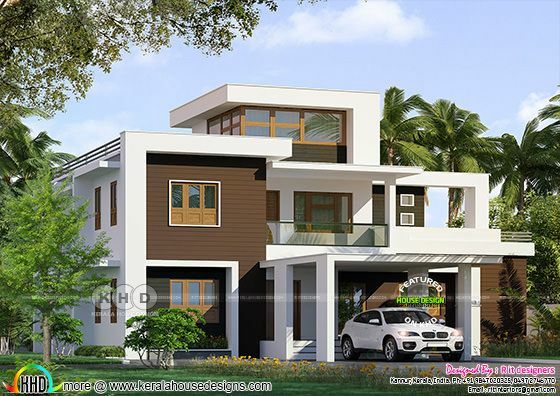 0 comments on "2587 square feet modern box model house"